Country club living and breathtaking views at this 1-story in Anthem Country Club. New carpet, paint, & light fixtures. Kitchen w/Merillat Masterpiece cabinetry, granite, & GE Profile appliances. Master w/rear yard access, double vanity, large walk-in, soaking tub, & glass-walled shower. Secondary bedrooms w/Jack&Jill. Members of ACC enjoy fine & casual dining, state-of-the-art fitness center, resort-style pool, & par-72 championship golf course. Directions: 215 & Eastern. 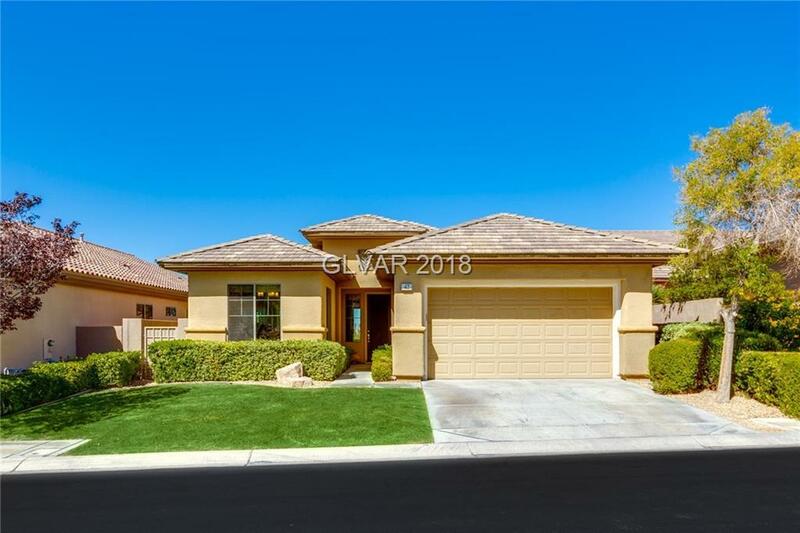 S On Eastern, Veer L Onto Anthem Pkwy, L On Anthem Club Through Guard Gate, R On Anthem Club, R On Stonemark, L On Hunt Valley, House Is .2 Miles On L.